Indonesian TV stations these days have been peppering their news broadcasts with “suka-duka Idul Fitri”, a round-up of the positives (suka) and negatives (duka) over the long weekend. It has been a privilege to spend Idul Fitri, or Eid, with Bama’s family, and experience the celebrations firsthand. For me, the similarities between our home cultures have been brought into sharp focus – I now realise that this festival is a lot like Chinese New Year. 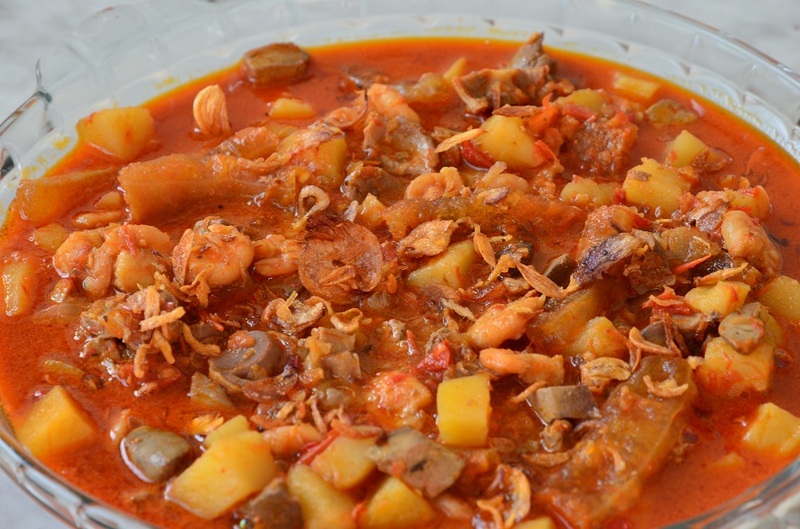 Idul Fitri marks the end of the Ramadan fast, and it boasts special dishes rarely served at other times of year. 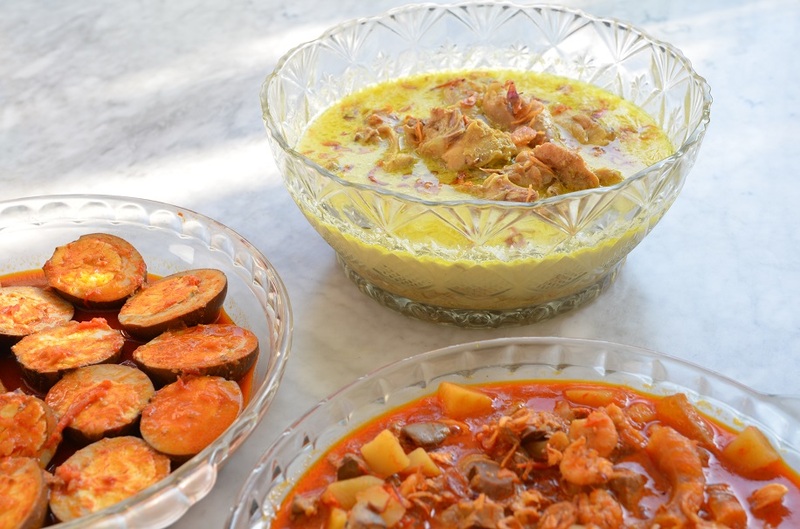 You sample ketupat, a dense rice cake cooked in palm leaf, and home-cooked opor ayam, a rich, aromatic chicken stew spiced with turmeric, cumin, galangal, coconut milk and a wealth of other ingredients. 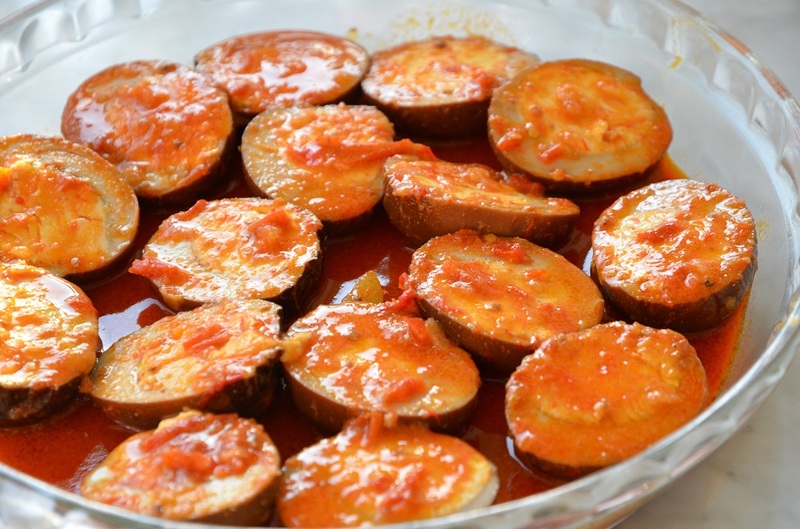 After tasting your host mother’s opor, you wonder if you can ever have it anywhere else. This is a time when the front door is left open – even in cities like Jakarta – as an invitation for neighbours, friends and loved ones to enter the home. There are visits with extended family, meeting cousins, aunts and uncles you might otherwise never see. In each household, all kinds of snacks are stacked on coffee tables, from cheese-flavoured breadsticks to bitesize nastar stuffed with pineapple jam, to dainty ‘snow princesses’ coated in a layer of powdered sugar. The hosts bring out cold drinks or cups of hot tea, and relatives greet each other with the phrase “mohon maaf lahir dan batin”, asking for forgiveness from physical and mental (or spiritual) misdeeds. There is also room for plenty of embarrassing moments, especially if you, like me, find yourself playing the role of the goofy foreigner. 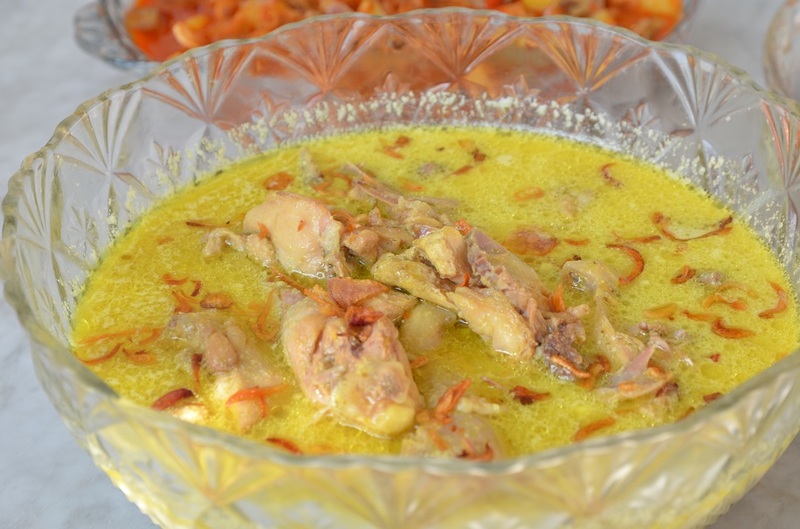 On the first day of Eid, your host mother may joke with the neighbours about your incorrect use of Indonesian vocabulary, while informing them of your upset stomach after eating four bird’s eye chillies in one spoonful (which you did to clear the plate out of politeness). But you let it slide because the neighbours are warm and you know it is a good sign that your host mother is willing to embarrass you. On the second day of Eid, you may accidentally tread on a plate of watermelons at an enormous family gathering because you were too busy asking for forgiveness (and you had no idea you would be going lesehan – eating cross-legged on the floor). You might even address your host father’s cousin with the wrong title, reserved for someone of a similar age and/or the same generation. Now a days, in city, we explore restaurants known for Ramdan delicacies. I’m glad my own experience has brought back some fond childhood memories for you – from what you’ve told us it sounds like there is a blog post just waiting to be written! Great post James. Very informative, and evocative. I could imagine being there. How wonderful it is when we get to experience a genuine slice of the local culture. I’d have a problem with the food I’m afraid, not being a fan of anything spicy, especially chillies. You are right, Alison – this is something that I could never have experienced within the confines of some hotel or resort. I am so thankful to Bama and his family for opening their doors to me this season; they have been such gracious, caring hosts. Actually you might be surprised about the food… the main dish (opor ayam) was mild and easy on the tongue because it didn’t have any chillies. That opor ayam looks RIDICULOUSLY good! The fact that it’s home cooked and served infrequently only adds to the enjoyment, I imagine. This looks like an all-around hearty and exotic meal and it’s making me excited to travel to this region once again. Ridiculously good is right, Darcy – you can tell just by the colour of the soup! I am a sucker for spices and coconut milk so it was right up my alley. I have really been spoiled by the home cooking of Bama’s mother. 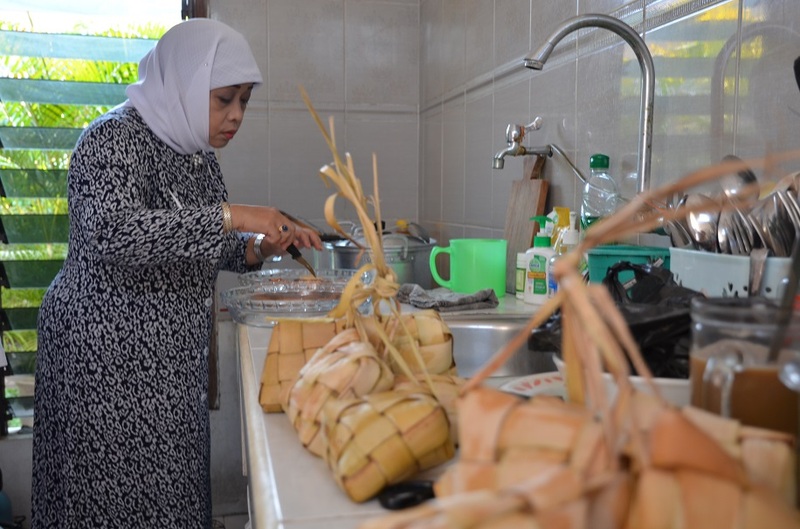 And being able to watch the process has taught me a thing or two about Javanese cuisine! My definition of wonderful chili-spicy food is probably incredibly pale, my family members even paler. I love the rice cake containers. So the rice cakes are steamed/boiled..like the Chinese sticky rice packets in lotus leaves or bamboo leaves? It was the same for me before I started visiting Indonesia several times a year… it took me quite a few months to raise my tolerance levels with the help of bottled chilli sauce. The rice cakes are boiled and feel more firm/dense (also less sticky) than the Chinese ones in lotus leaf. Before serving they are generally cut up into smaller pieces – you’d need to be ravenously hungry to finish one on your own! Guess it was like an energy bar for farmers or travellers..
Whatever happened to you James, I hope you got the best experience -ever- of Idul Fitri in Indonesia. What a great experience. This Idd is also very closely tied to a sacrifice that is recorded both in the bible and the koran. Absolutely. This has been one of those rare instances of genuine cultural immersion that many of us try to seek out on our travels. A lot of city in Indonesia you already discover :-D. And you enjoy a lot of trip in here, such as a good experience right? 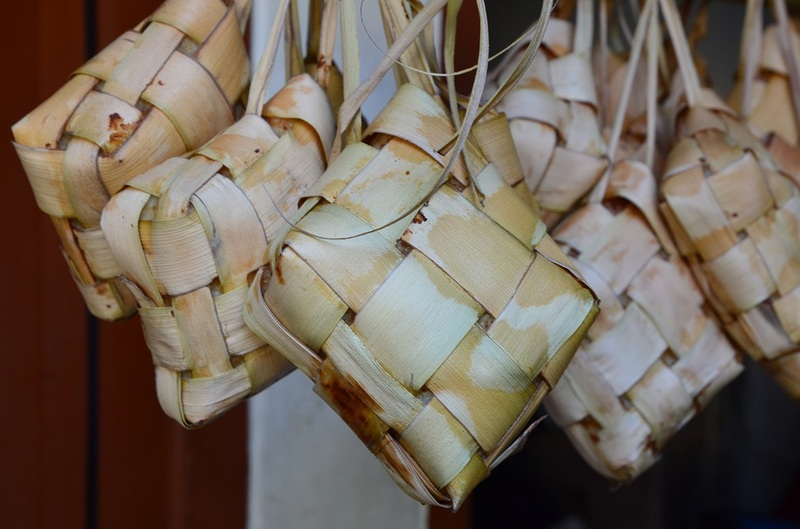 Ketupat is the best! 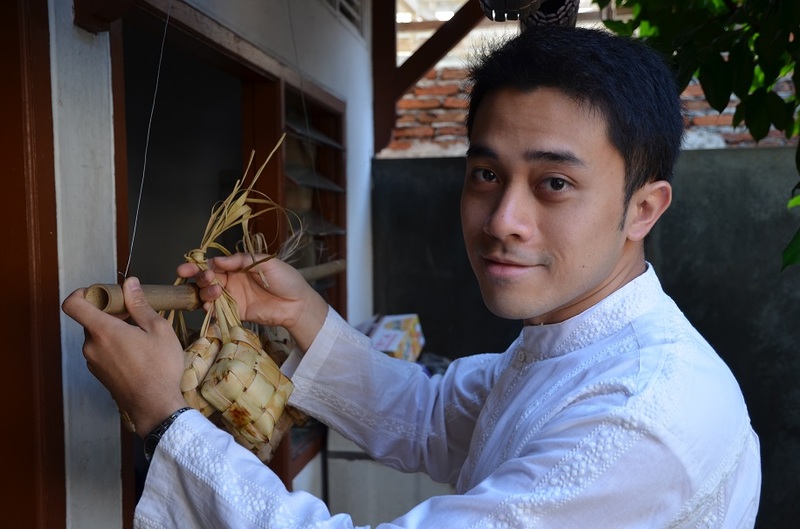 I got it from my neighbour this year :p.
How long will you in Jakarta? Well, the more I explore Indonesia, the more I realise just how massive this country is! It has been funny seeing all those Facebook posts from Indonesians about the never-ending questions at Idul Fitri. Bama showed me some of the best ones on his news feed. I am actually in Semarang now – although I quite like Jakarta (yes, in spite of the macet and pollution) I didn’t spent any time there on this trip. After flying into Soetta, I met up with Bama and two other bloggers; we went straight to Cirebon by car, then Dieng and Jogja. haha yeah, Bama post something is his facebook about it. Other country already talked about new planet, and my country still talked about politic, religion belief’s. I already clean that stuff from my facebook, report some annoying post :p.
How long you will be in Indonesia? This time I’ll be in Indonesia for about three months. It’s hard to believe the first month is practically over! Glad to know that you enjoyed the Idul Fitri, James. I’m a Christian, but my father, sister and her family are moslem. So my family celebrated The Great Day, too. 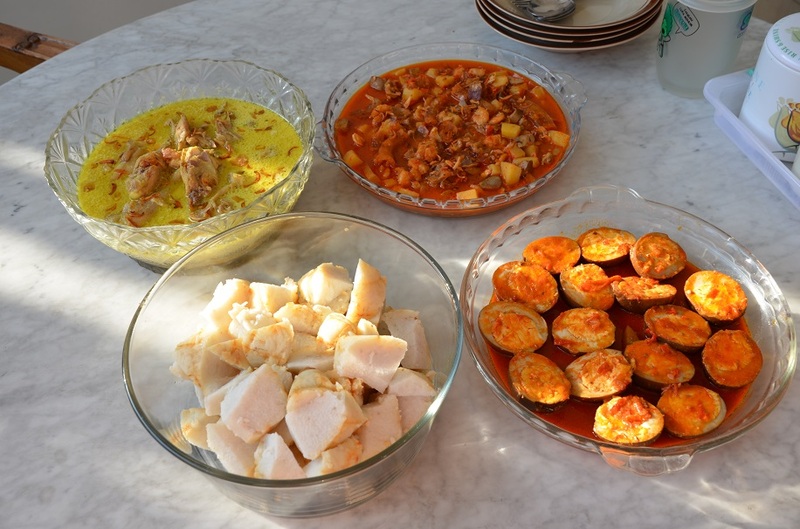 Yes, there were Opor Ayam, Ketupat, and Sambal Krecek. Just like you had. Wow, Matius. That’s one more thing I find very beautiful about Indonesia (Java in particular): all the mixed Muslim-Christian families. To me, it shows the ultimate level of coexistence and acceptance of differing faiths. Actually you’re not the first to think of Bama as a Christian – he says he gets that pretty regularly. Yes, Javanese have a good tolerance in beliefs and religions. Proud to be a Javanese! Eskerrik asko, Mikel! It is really amazing how you have immersed yourself in the various cultures of the archipelago, and writing about it all in Spanish. 🙂 I only wish I could speak the same level of Bahasa Indonesia… guess I should really think about moving to Jakarta for work! You are so right, Kelly – now that I think of it, Christmas and Thanksgiving also fit the bill! I felt underdressed seeing Bama and his family in such special clothing. He even kept it on for the feast! 🙂 Had I been wearing a white shirt, I would probably have stained it with sauce in no time. That is so cool to get to experience this with locals and friends. I feel your pain though on not quite knowing the customs. I stayed with a friends family in South America and made many of the same mistakes. I wish I had read a book on Indonesian or Javanese customs before I came… that would have saved me a lot of embarrassment! Just the other day I committed another faux pas – receiving something with my left hand (said to be unclean) instead of my right. Luckily the vendor didn’t seem to mind or care. PS I don’t know about that! Even after a month here I still have so much to learn about Javanese customs and cultural norms. Thank you so much, Randall. 🙂 I knew I had to include all those embarrassing moments! Suka is literally “to like”, and Bama tells me that duka is the word for “sorrow”. It is funny how they rhyme so perfectly with each other. Yes, you wrote so well about those moments. And thanks for the intro to suka and duka ~ I think it is the rhyming of the words along with the meaning that makes it special.